Be the first to share your favorite memory, photo or story of Bayleigh. This memorial page is dedicated for family, friends and future generations to celebrate the life of their loved one. Westminster- Bayleigh Marie Rogers, infant daughter of Angela Michelle Rowland of Westminster, SC and Austin Rogers of Salem, SC. In addition to her parents, Bayleigh is survived by her sister, Hannah Rowland; grandparents, Ricky and Cathy Rowland of Westminster, SC; uncles and aunts, Jay Rowland (Erica), Michael Rowland, Eric Patterson, Kimberly Rowland, Jennifer Rowland, Tyler Rogers (Megan) and Billybob Rogers; and great-grandmother, Marylin Wilson. A memorial service will be held at 4 pm, Thursday, January 17, 2019 at the Sandifer Funeral Home Chapel. The family will receive friends 3-4 pm prior to the service at Sandifer Funeral Home. The family is at their respective homes. Memorials may be made in Bayleigh’s memory to Hannah Rowland Scholarship Fund, C/O Sandifer Funeral Home, Po Box 69, Westminster, SC 29693. 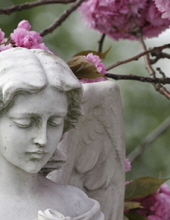 Condolences may be expressed online by visiting www.sandiferfuneralhome.com. To send flowers or a remembrance gift to the family of Bayleigh Marie Rogers, please visit our Tribute Store. "Email Address" would like to share the life celebration of Bayleigh Marie Rogers. Click on the "link" to go to share a favorite memory or leave a condolence message for the family.